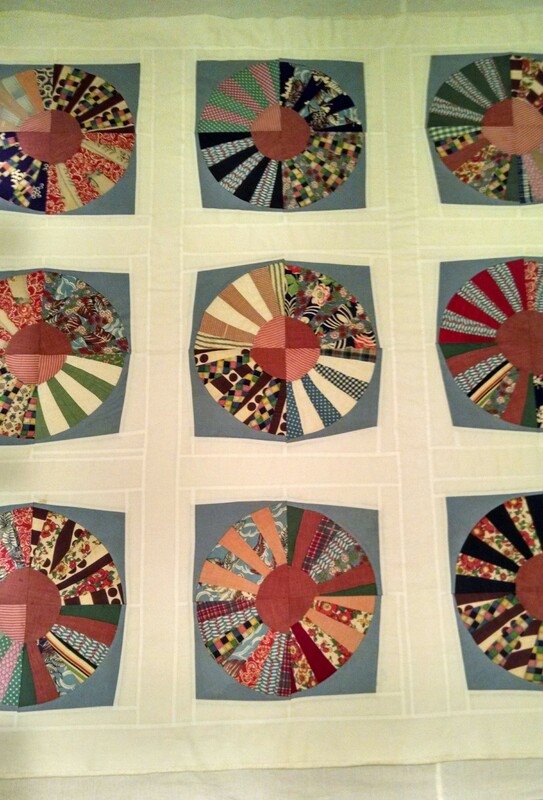 Quilting has been a daily event most of the week, as I finish up a few projects and continue to work on this one. I finally have a project together that will hopefully keep my hand quilting skill intact through the long winter evenings. It is a peaceful, relaxing activity at the end of the day. 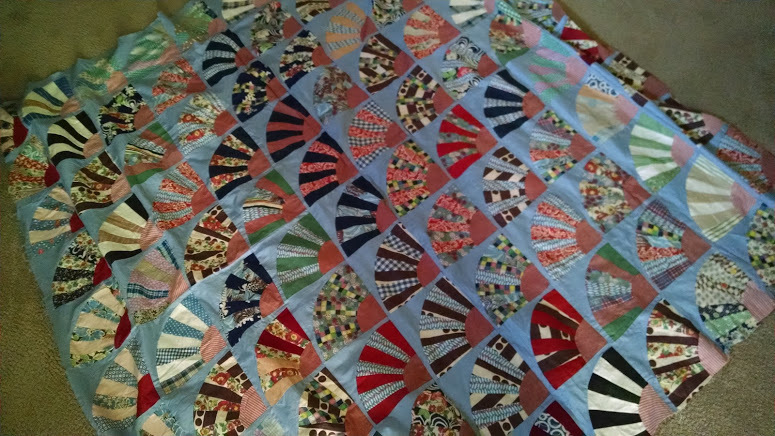 Here is the previous photo of the quilt as it arrived. As you can see in the photo below, I have used 36 of the original 100 blocks, so I’m sure these will appear here again some day. 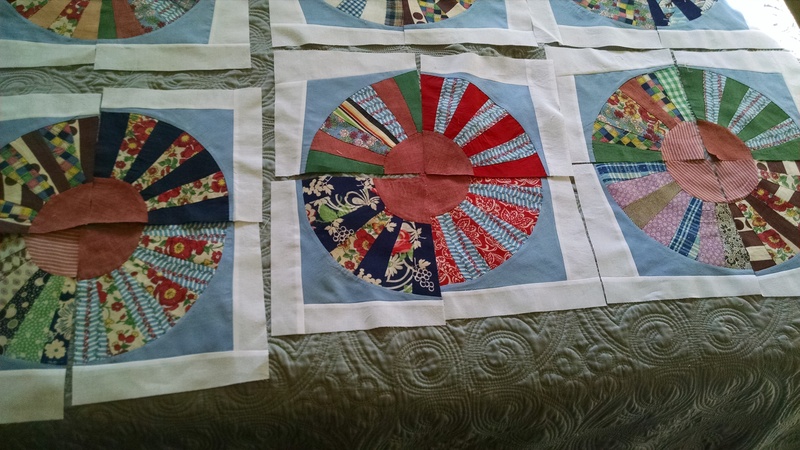 It measures about 58″ square, which will make a nice sized lap quilt for the garden. After taking the original squares apart from each other, I squared up the corners with the quarter circles and added white borders to make each 8 1/2 “. The fans were then arranged in circles, which was a bit like assembling a puzzle, as thy were irregular in size. Once this was accomplished and they were sewn together, they were attached to each other with 2″ borders and another 2″ border surrounds the whole thing. It goes into my hoop tonight, which means it might be done by the end of the winter…maybe.